Life’s an open road and we are traveller. We travel from this end to that in search of something we desire to accomplish. We travel to explore. We travel to experience. And thus, life’s full of such experiences and one has to develop an instinct to enjoy such pleasures. I always tend to find such moments in everyday regular life. Be it a long train journey or a walk to some place, I always focus on the pleasure part. 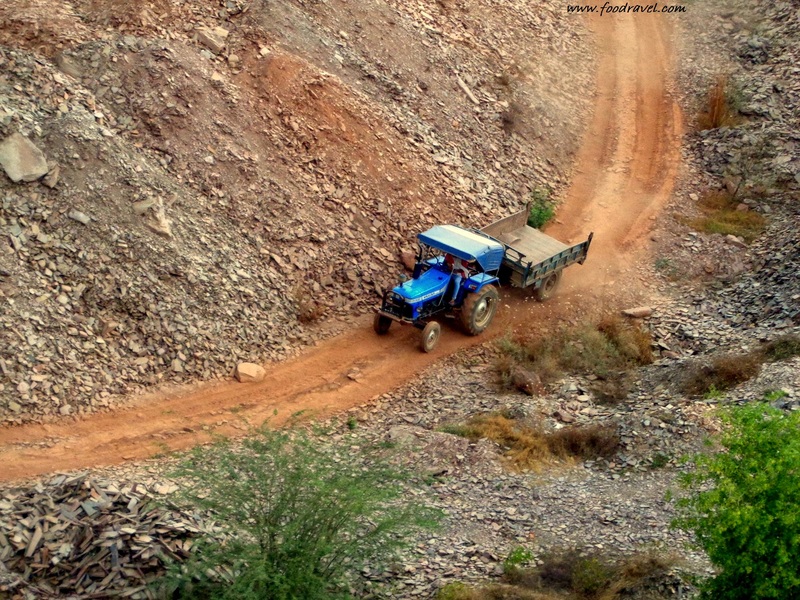 A visit to some random place and then its exploration is among the best moments of my travel journey. This time I along with some friends visited such a historical site. 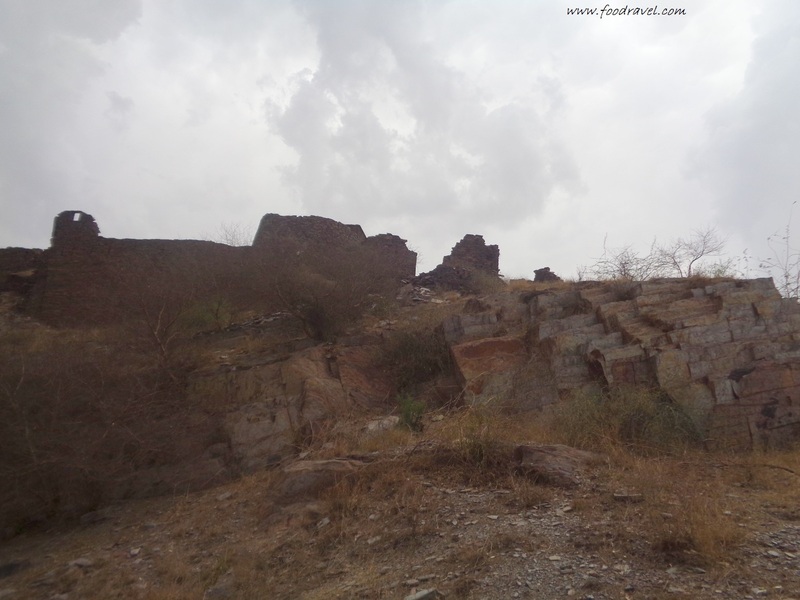 It was a random visit to Mandhan fort aka Mandhan Ka Kila which was somewhat demolished and was lost in total ignorance. A month back, I saw this fort at a small hill. And decided to go and check this out. But due to certain circumstances, I couldn’t make it and to cancel the visit. There were always some concerns. 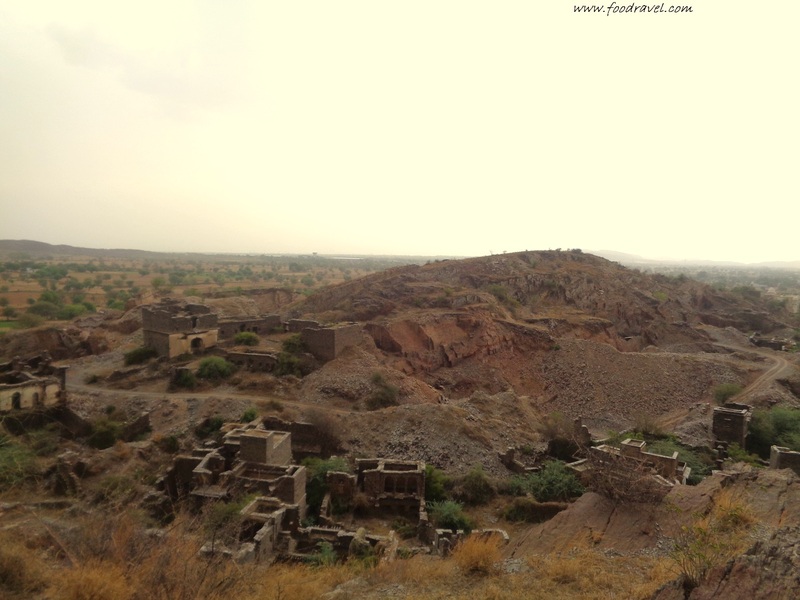 So finally the day came and we decided it visit Mandhan Fort. It was cool, pleasant weather. There was no sun in the sky. 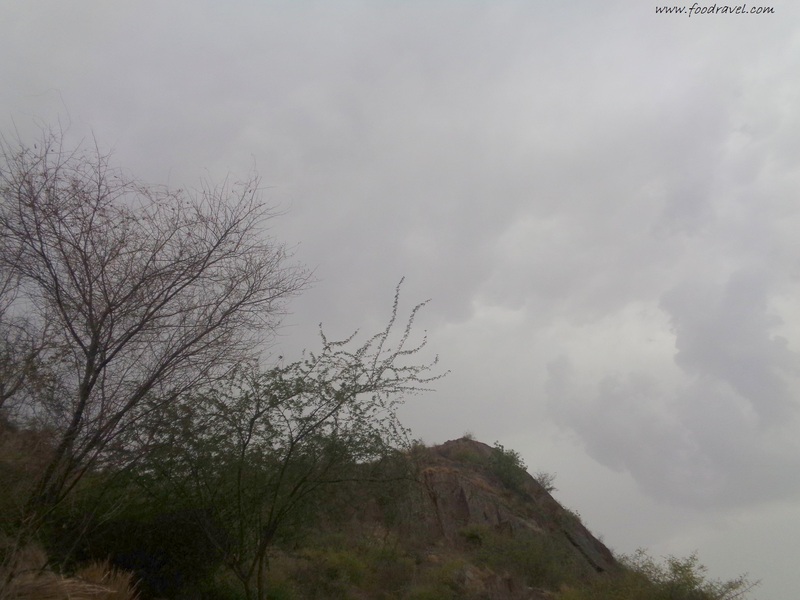 It was all cloudy, dark and cool breeze was blowing. It was a perfect weather for such a small trip. This visit was to a fort, locally known as Mandhan Ka Kila. A fort whose name I forgot to ask. A fort which was just waiting for people to come and see. 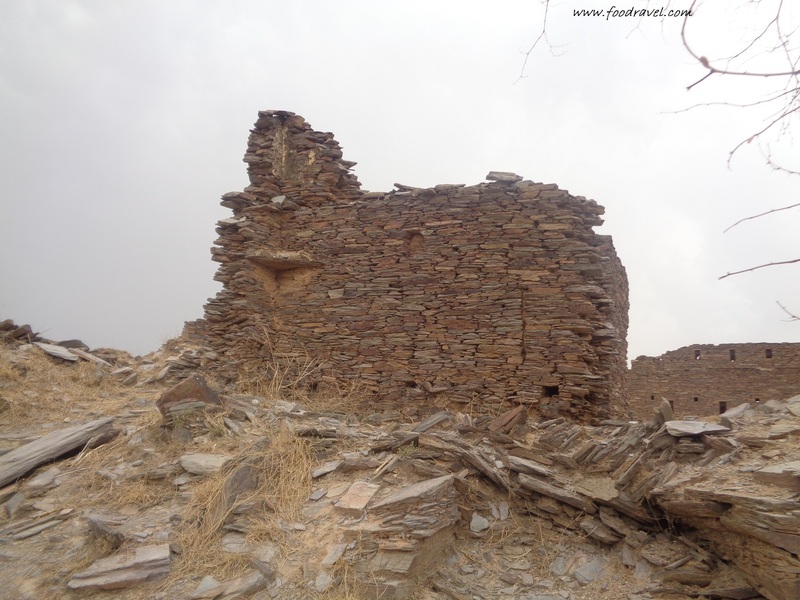 It was fort of Mandhan which was just counting its last days. 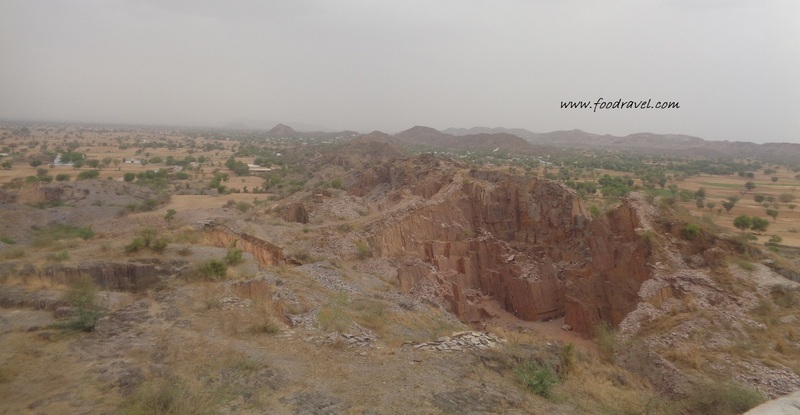 It was fort of Mandhan which was just dying stone by stone. 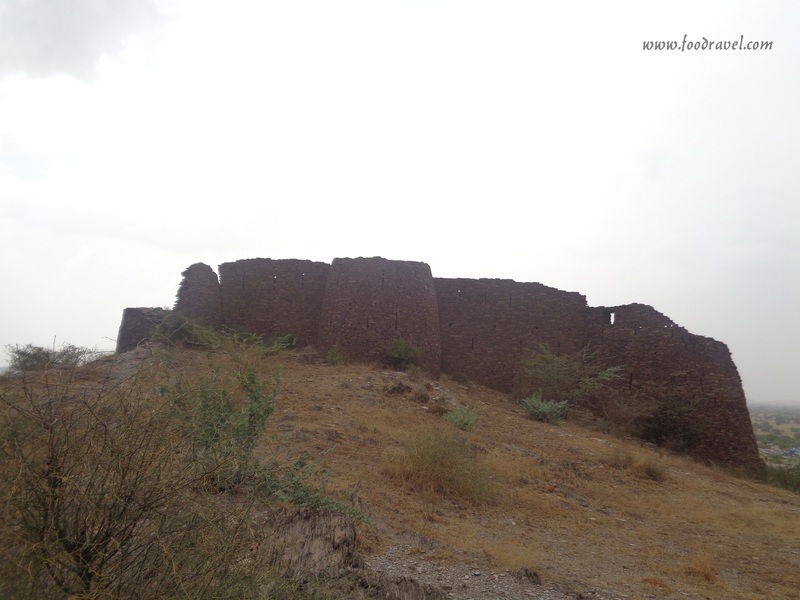 It was a visit to Mandhan fort which must have a glorious history but today it was totally abandoned. 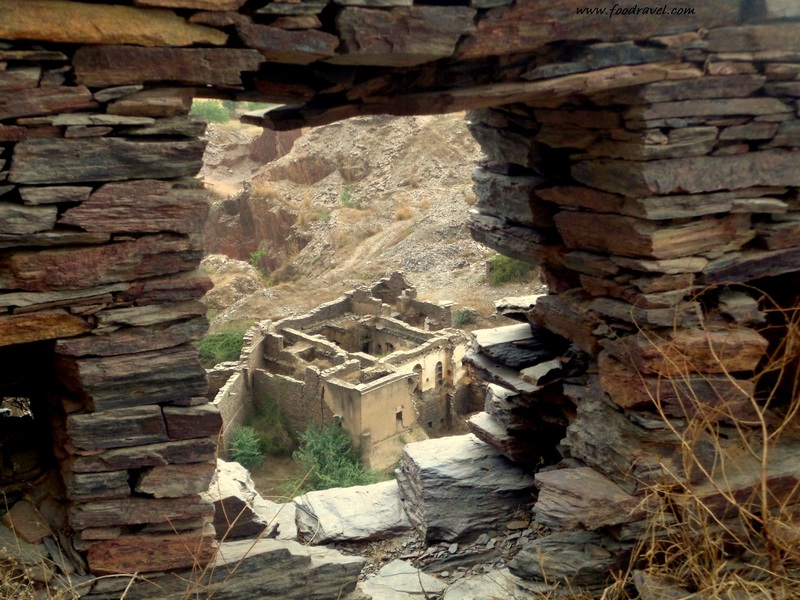 It was a visit to a fort which has lost its glory in history was just another demolished building. 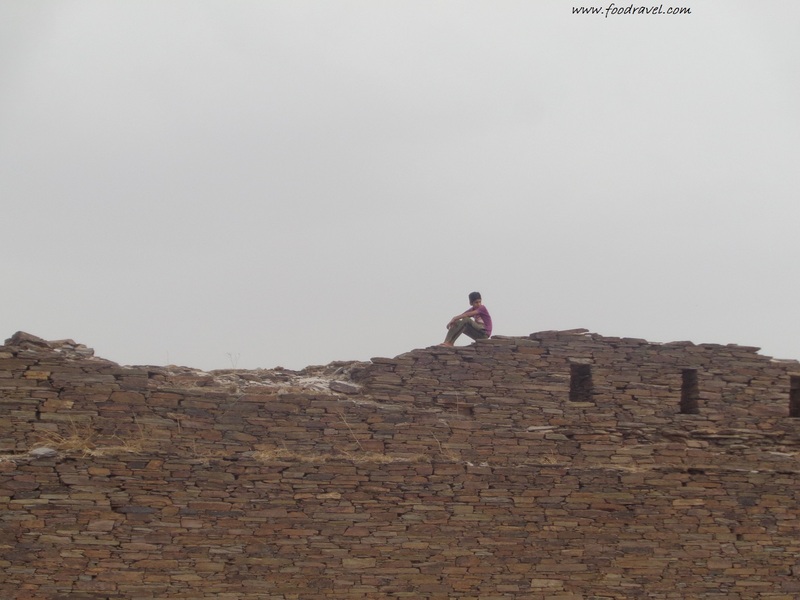 The visit to Mandhan fort was made on this Friday along with some other friends. 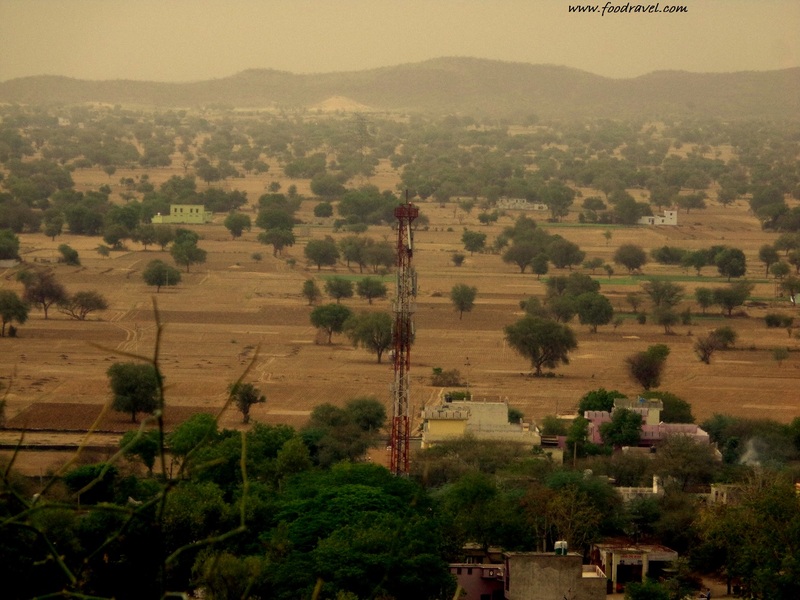 Mandhan fort is located at a hill in Mandhan village of Alwar district (Rajasthan). When we reached the village in our car, as we were passing by, I could see the people staring at us because we were all in black and white with tie. We parked our cab in a narrow street and got down from it. 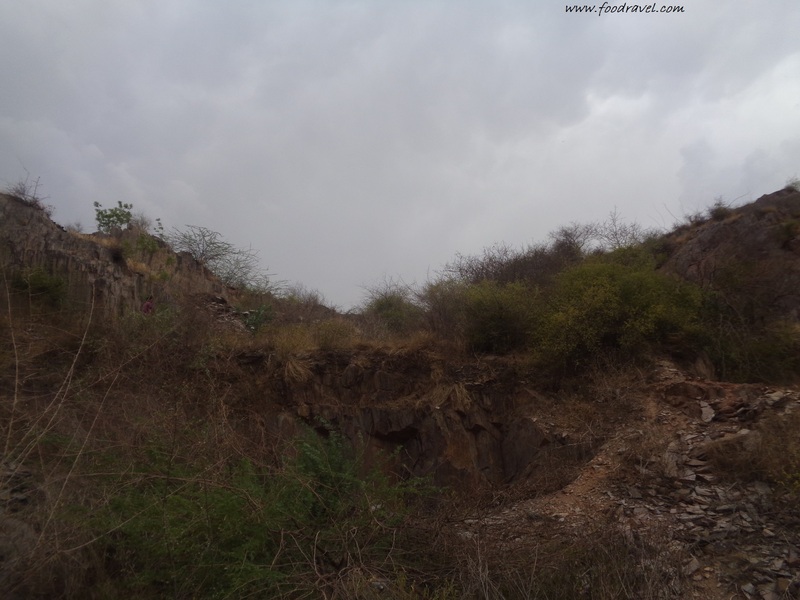 There was a small high school boy who was standing there, whom we asked the way to the fort. We asked the same boy to be our guide. Thus, we got our guide and we followed him. It was at the top of the hill and it was indeed it required a great physical effort to reach there. He led us and we followed him to the top. I turned on my camera and started shooting. The moment I reached at the top, I could see the whole village. I could see the huge land mass with green patches (trees, from long distance). 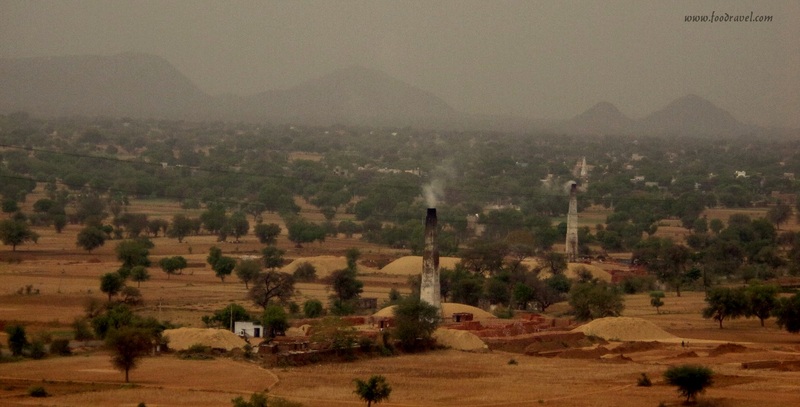 At a distance, I could see brick factory and the chimney smoking out. 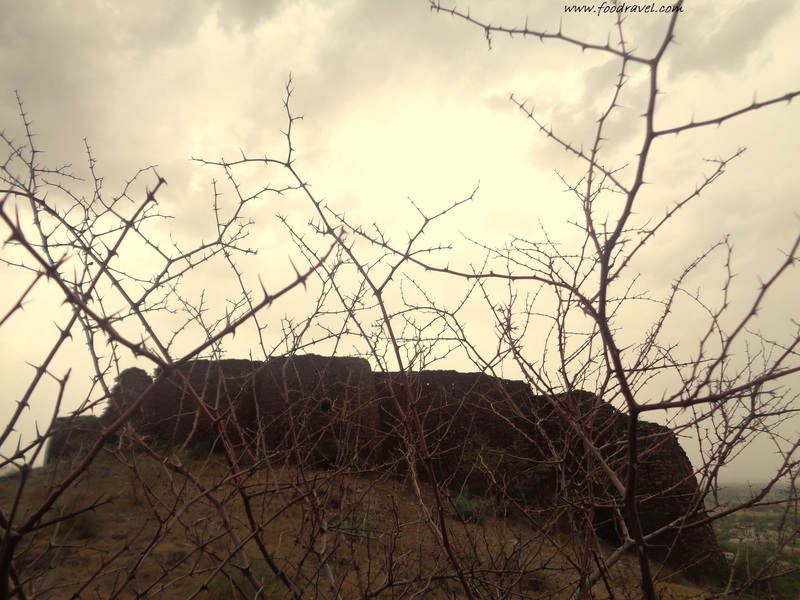 This small hilltop ancient fort was a perfect destination to go on such weather. I stood on the top of a wall and got lost in the natural serenity of this place. 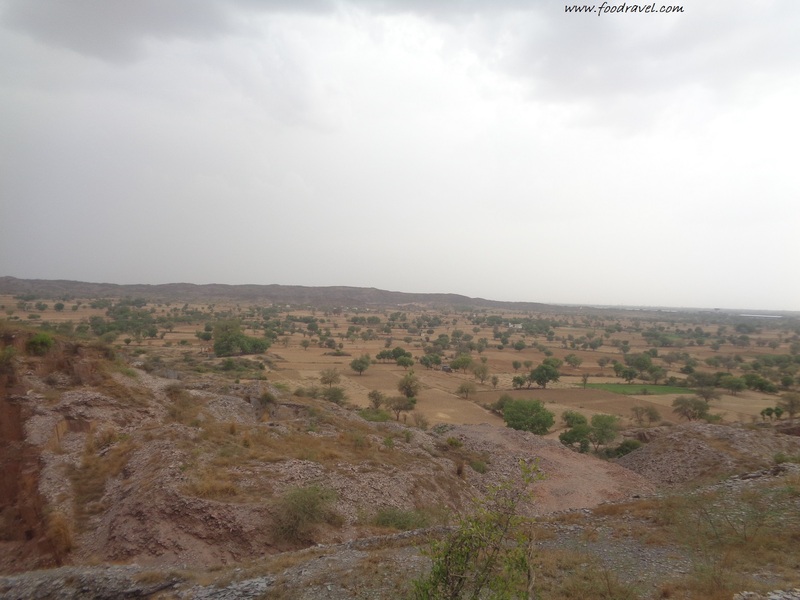 Cool breeze, open wide sky, huge landmass, the terrain, hills and what more is required to enjoy your moments. I am so far not sure about the history of this fort. The little guide wasn’t able to tell much about this fort. 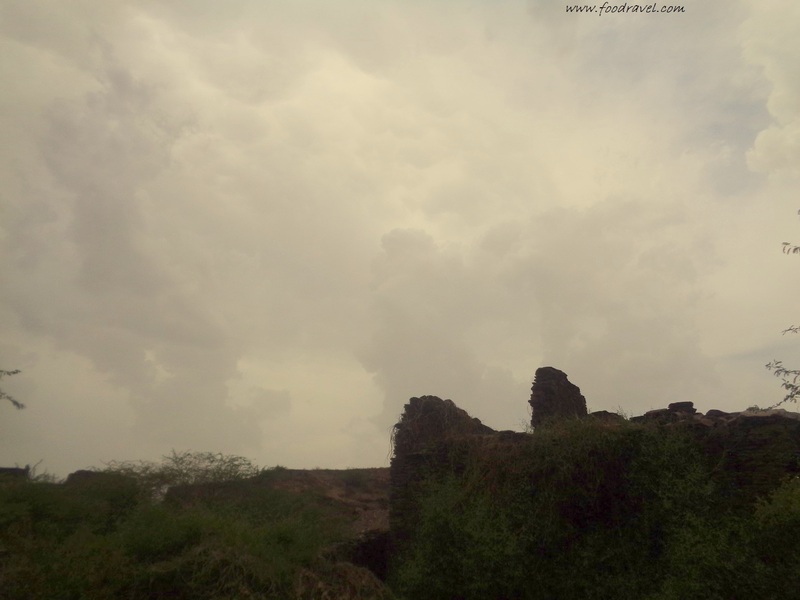 But standing at the top of the fort and staring at the wide open sky was really amazing moment. I was curious to know the history behind this fort which I couldn’t get. Thus I had to curb my hunger of historical exploration. 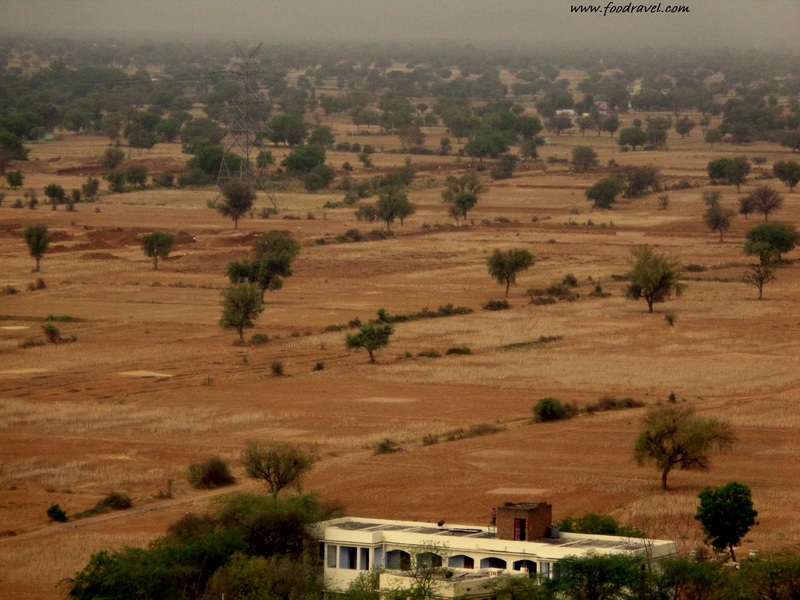 Rajasthan is full of forts and is rich in historical significance. 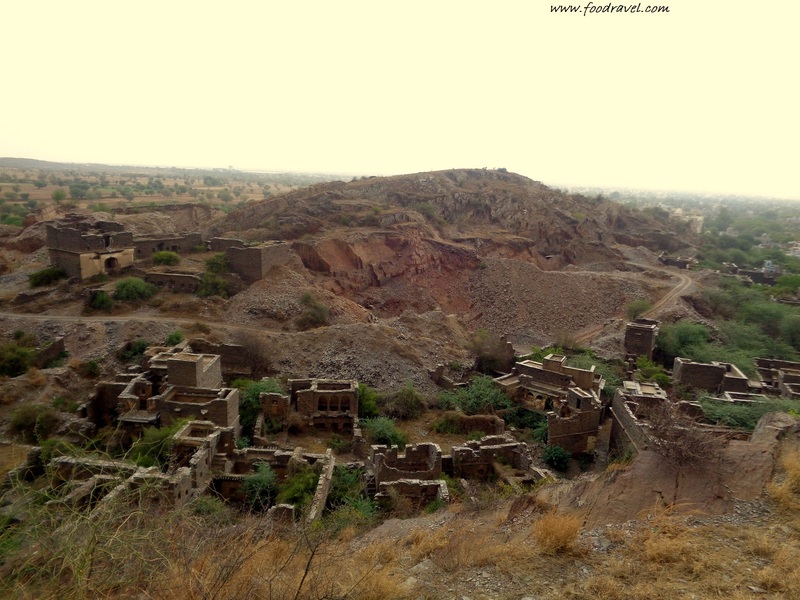 Mandhan fort is located on the top of a small hill. This fort isn’t that much big in size or may be other parts are demolished as this fort is lying abandoned. No administrative attention was paid towards this historical fort and thus it is just counting its days. 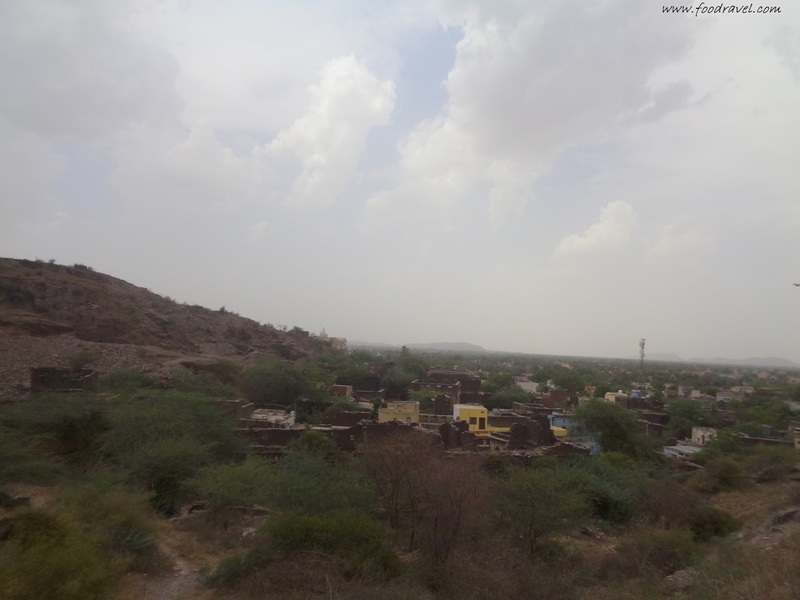 The fort may lose its existence from this land of Mandhan soon if such is the condition. Our little guide, Ashish told us that many people come to visit this fort. There is a big gate which leads to main compound. Inside it is just full of trees and grasses. The entire structure is deformed and one cannot tell what was there. 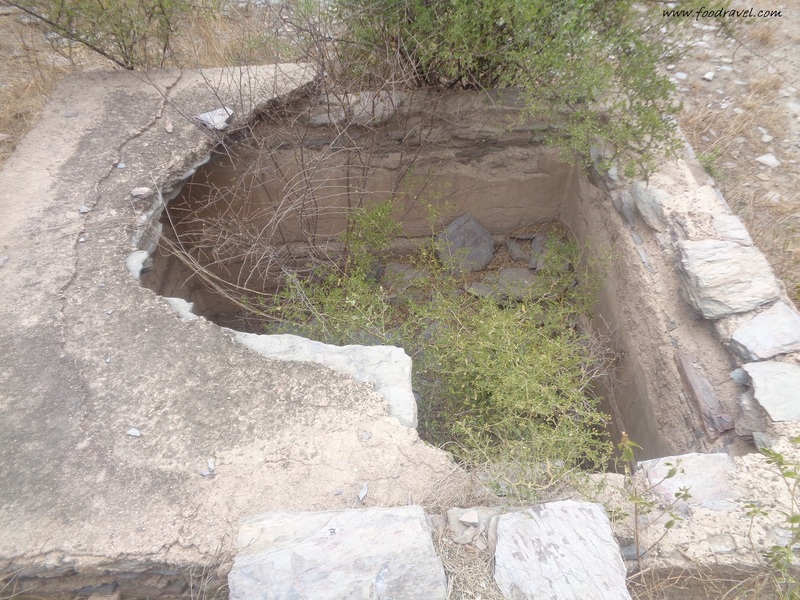 I could see a well which was all filled up to the surface. 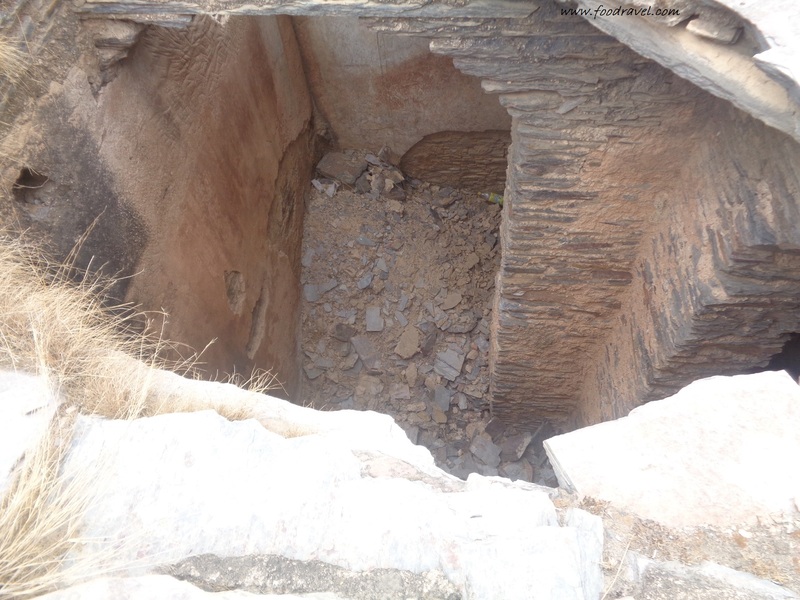 A small chamber which was all broken, the boy told the people who were punished to be hung were dumped in this place. Now I am not sure how much truth is there. It may be folklore. 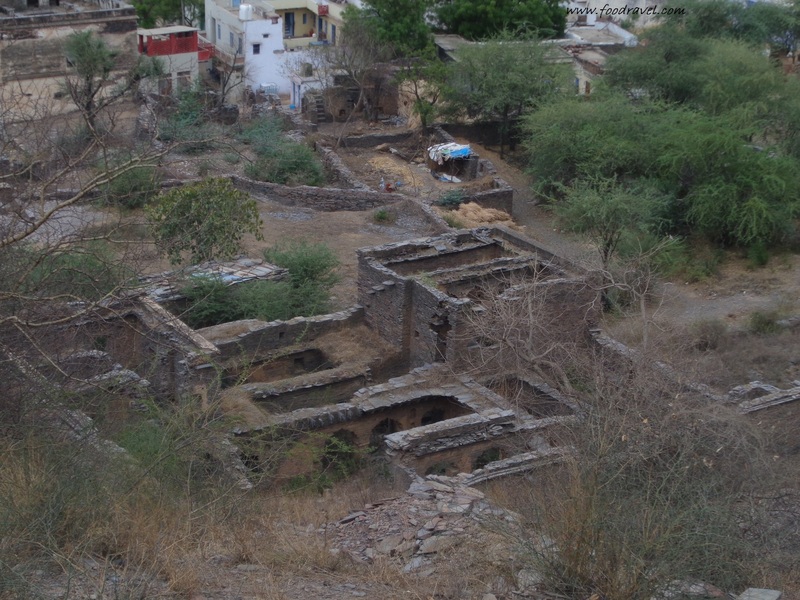 Near to the fort, I saw several houses which were too all broken. 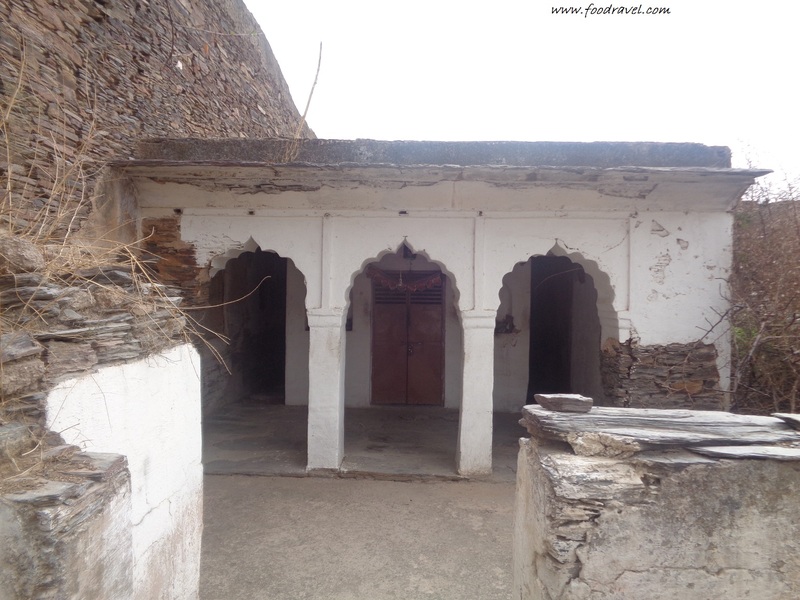 It wasn’t sure whether these houses were new or did they belong to the fort and the king. There was only one room safe and managed. It was a temple and it appeared to me that it was maintained by someone who visits there regularly. Because it looked like a well in the desert. We spent almost an hour there. There was another hill, where people were working. 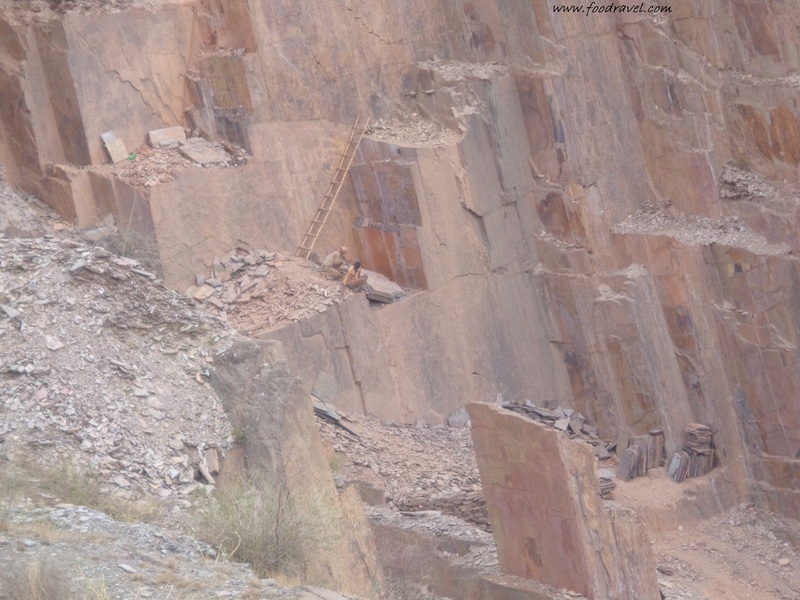 Mandhan and Kund are famous for their hill stones which are known as slate stones. 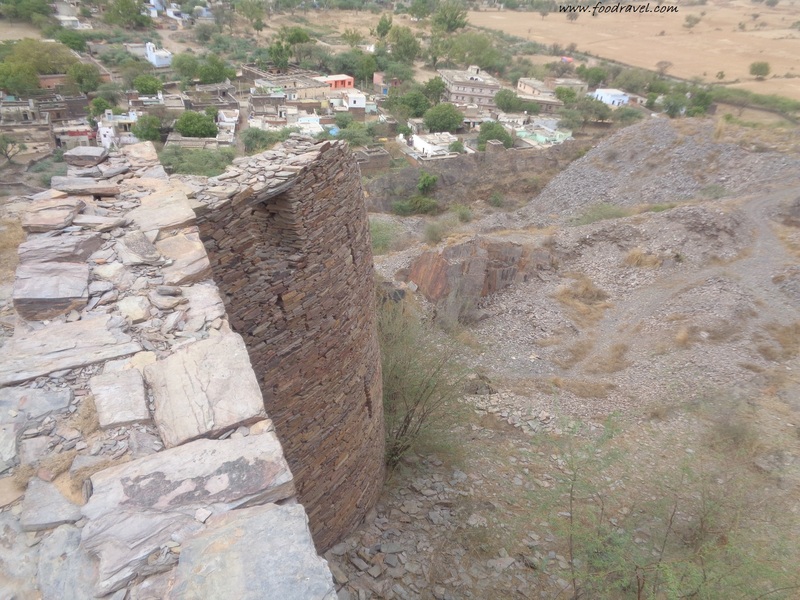 This fort is all open all the time and there is no restriction, but one has to be careful while climbing the hill as there is no proper way and one has to just keep on moving up. 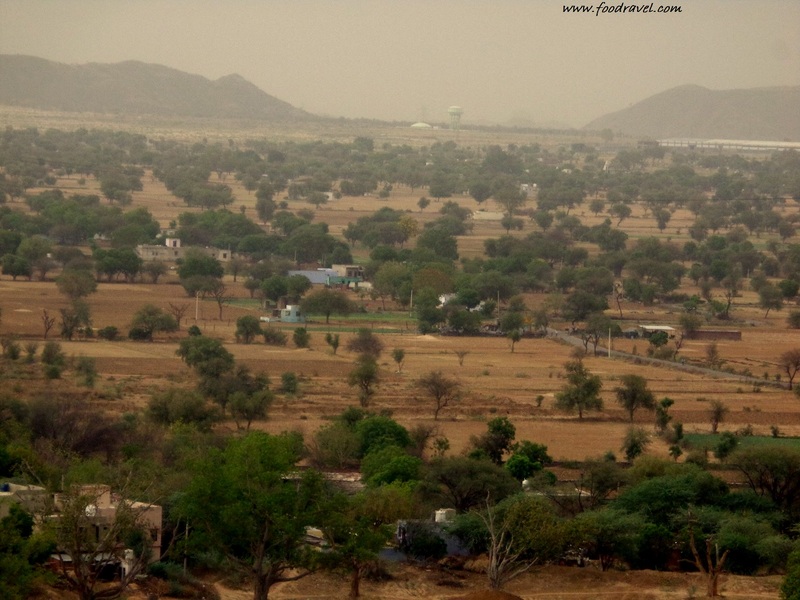 Mandhan fort can be easily seen from the main road and that’s I got to know that there’s a fort there and I needed to make a visit. I am trying to extract some information about this place and once I am done with my information, I will post next blog post. Till then stay connected.